Let Act4Africa organise your placement and we’ll ensure you get the best out of your time in Africa. Whether you are a medical student looking for a challenging, yet rewarding medical elective, a student nurse or midwife or a health professional on a career break or retired, we can design a placement to suit your level. We guarantee a clinical placement organised by professional staff in Africa. If you choose to do your placement in Jinja, Uganda we can also arrange for you to visit Kathy’s Centre and get hands-on experience, working at a rural Level III health centre in Mayuge. 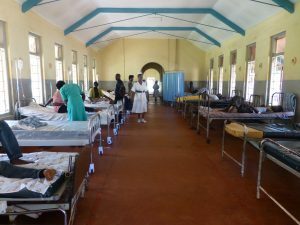 The health sector in Uganda, and Tanzania is challenged by a number of factors that present significant obstacles to health service delivery, including: critical shortages and unbalanced distribution of qualified health workers at all levels of the public health system; shortages and irregular supply of essential drugs and medical supplies. Placements are tailor-made to suit your skill, expertise and interest. As an experienced deliverer of health education in Africa over many years, Act4Africa is uniquely placed to understand your requirements and deliver an experience that Western culture cannot provide. We are not-for-profit, so book with us and make a real impact on people’s lives in some of the poorest areas of the world. You have the choice of location in either Jinja resting on the shores of Lake Victoria, or Kasese in western Uganda – the heart of untamed rural Africa. We also offer placements in the tropical coastal city of Dar es Salaam, Tanzania. See our hospitals. Our costs include full orientation briefing, all in country support, hospital fees, accommodation, two meals per day and airport pickups/drop-offs. Please note you are responsible for arranging for your own airfare, insurance, visas and any jabs but we will be pleased to give advice. FLEXIBILITY – Logistical arrangements are tailor-made and start dates are up to you. VARIETY – A choice of 4 destinations with several different medical contexts. SUPPORT – Our local staff will support you throughout your placement. You will also be allocated a clinical mentor to support your development. PEACE OF MIND – Full orientation and expert advice from our UK team before you go. TRACK RECORD – With over 30 years’ experience in developing countries, our staff have been arranging medical placements in Africa for over 6 years. TRAVEL – All 3 destinations offer incredible adventures within easy reach, including white water rafting, magnificent beaches, national parks and wildlife and game reserves. NON-PROFIT MAKING – As we are a registered charity you can fundraise to cover the cost of your project. We guarantee that the money you raise, over and above expenses, goes back into the local community. Download and complete our medical elective application form. Please return this form to trips@act4africa.org. Pay your non-refundable application fee of £45 online here. Make sure to read through our Booking Conditions. “I feel privileged to have been given this wonderful experience. 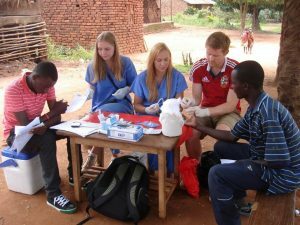 I learnt a lot about medicine, local culture and myself: lessons which will stay with me forever.” Caitlyn, nursing student at the University of Glasgow. To find out more read the blogs written by previous students, read some testimonials here and join our Facebook Group – Act4Africa Electives.